Rane and Serato are pleased to present the Rane SL 4, a revolutionary new five-channel DJ interface, designed for the discerning DJ. The Rane SL 4 is the first standalone DJ interface with two high-speed USB 2.0 ports, for seamless DJ changeover and back-to-back performances, as featured in the award winning Rane Sixty-Eight mixer. “The performance and flexibility of the new SL 4 once again raises the bar for DJ interfaces. We’re excited about the creative possibilities now available with this new device” says Dean Standing, Rane Sales Director. “Serato Scratch Live is used by many of the world's top DJs, playing on incredible sound systems. These DJs demand the best of the best from their equipment. Fortunately, Rane's engineers are amongst the finest in the world, and when they were asked to design the best possible interface, they certainly rose to the challenge” explains Sam Gribben, Serato General Manager. 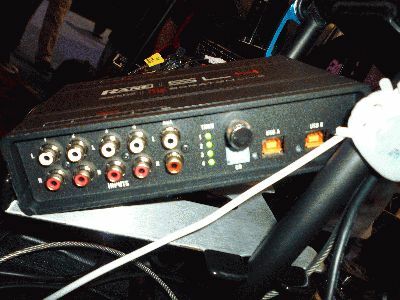 DJs now have the freedom to perform with the mixer of their choice with four switchable phono/line inputs allowing for simultaneous control of up to four decks with either one or two computers, and a combination of turntable or CD control. An auxiliary input and output add the flexibility to record sets and create more output options for the SP-6 Sample Player and The Bridge. Superior sound is delivered by a 96 kHz sample rate and high quality 24-bit digital audio processing, plus built-in galvanic isolation eliminates computer noise and interference, for the purest audio signal available in a digital DJ system. Teamed with low-latency ASIO and Core Audio drivers, the Rane SL 4 can also be used as a high-grade studio production tool with multiple third party software applications. All of this is in one powerful package, masterfully crafted by Rane. • Supports four turntables or CD decks switchable in any combination. • Two high-speed USB 2.0 ports for two DJs for uninterrupted performances. • Aux Output assignable to the SP-6 Sample Player and The Bridge. 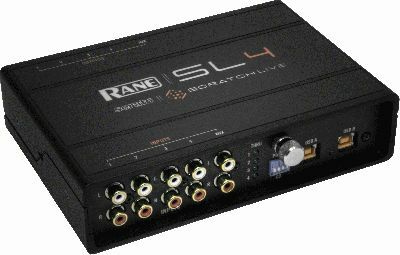 • Four software-switchable analog Thru connections for regular vinyl or CD. 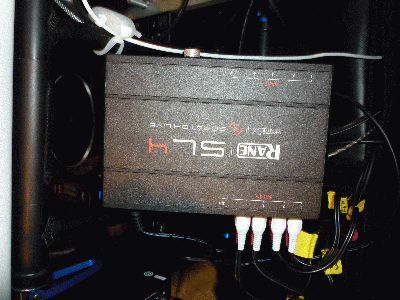 • 48 kHz and 96 kHz sample rate switch on the SL 4 rear.